This type of setup was quite common inside the mall. Unfortunately I can't speak to the actual engineering of the electrical power distribution here, but it is interesting to note that most of the breaker boxes in the mall had individual meter junction boxes installed. 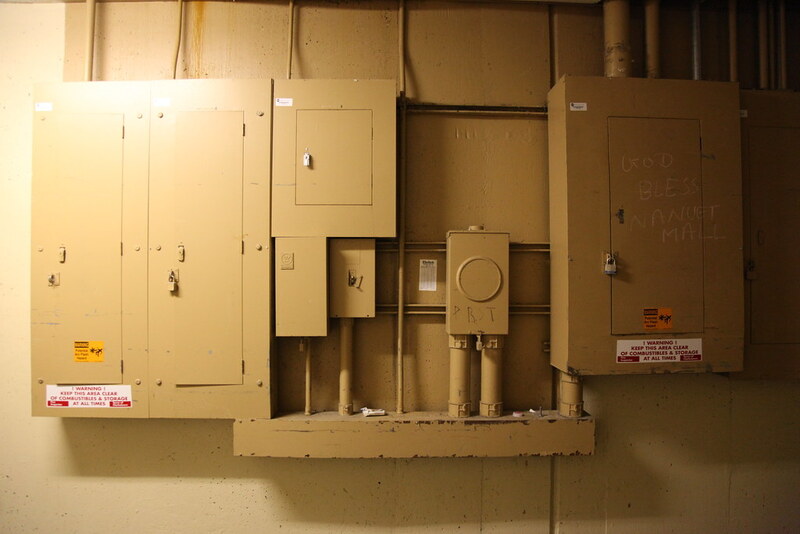 Possibly when the mall first opened, there were multiple electric meters, one for each distribution panel, to help isolate electric costs. At some point, before 1998 (the first years I explored the place), they had apparently switched to primary metering, making these individual meters obsolete.